Our fully trained engineers can fix most types of TVs – whether it’s an LED, LCD or Plasma. When you phone to book a repair, we’ll arrange a suitable time for our Knowhow team to visit your home to collect your TV. We ask for an upfront fee of £95 which is for labour and delivery costs. When your TV arrives at our repair lab we will let you know if there are any further costs for parts as soon as possible. If you want to continue with the repair, we take payment over the phone, or if you would prefer not to proceed we’ll deliver your television straight back to you. If you go ahead with the repair and we cannot fix your TV, we’ll refund all your costs in full. When the repair is completed, your television will be thoroughly tested, boxed up and delivered back to your home at a convenient time for you. 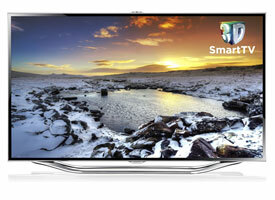 Our television repairs come with a 3 month guarantee from the time we deliver it back to you. Can’t get your TV to work?